Celeste Anderson, a first-year computer science student at the University of Waterloo (UW) expressed her definition of a nerd with valuable insight. Anderson recently starred on King Of The Nerds, a reality TV show that filmed in the summer of 2012. In the season finale, which recently aired, Anderson was crowned King and claimed a $100,000 prize. Along with beating out ten other contestants that possessed specific “nerd” qualities, such as a planetary protection engineer at NASA, a fantasy writer and an live-action role player. “It looks like it’s going mostly to my university education,” Anderson said, explaining that her initial plan was to not use it towards school. She explained that she is aiming to work for a reputable game company or make her own video games after finishing her degree. Anderson was the only Canadian contestant on the show and out-skilled the others in various games, including building a giant Rubik’s Cube and participating in a nerd dancing contest, where her team had 24 hours to write and choreograph a nerd song and perform it in front of three judges and a live audience. “I had trouble going up to a cashier and paying for something,” she added. 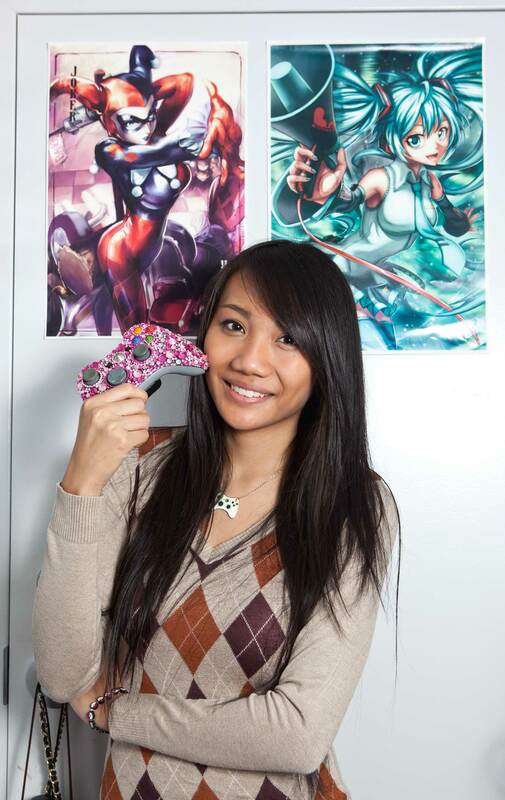 After graduating high school, Anderson, a speedcuber and professional gamer, focused on competitions as well as her job at EB Games for a few years. After receiving an e-mail from a man she had met in 2007 while on a video game tour across Canada, she was given the opportunity to put together an audition video and was later flown out to California for an interview. Filming began two days later. However, her parents are proud of her achievement in the reality show and are especially content with her return to school. “I’m trying to represent females in computer science because there are not a lot of females in this program,” Anderson said. Sher DiCiccio, the school administrative officer for the Cheriton School of Computer Science at UW, explained that typically female students make up 14 per cent of their entering class. “We appreciate the focus on a first-year female computer science student because we would like to encourage females to enroll in our program,” DiCiccio explained. However, DiCiccio emphasized that the type of computer science represented on the show is not entirely academic. Regardless, Anderson is proud and humble of her accomplishments. “It was probably the craziest experience I’ve ever been through,” Anderson expressed.